Principal Cast : Dennis Quaid, William Hurt, Matthew Fox, Forest Whitaker, Sigourney Weaver, Edgar Ramirez, Ayelet Zurer, Eduardo Noriega, Richard T Jones, Bruce McGill, Said Taghmaoui, Zoe Saldana, Holt McCallany, Leonardo Nam. What we think : Engaging political thriller has more twists and turns than an Agathie Christie convention. While some may approach it as being too convoluted for its own good, it still has enough street smarts to remain entertaining even as the narrative starts to ebb away in tension. I admit, I initially watched this film whilst on a plane between Singapore and London, on a 12 hour flight to a holiday the wife and I’d waited years for. I had heard mixed reports about Vantage Point, the main criticism being that the film essentially replayed the same point in time over and over again, which became slightly monotonous. What were those critics on about? This film is great! The cliché of different points of view of the same event has been done before, but not with this kind of freneticism and ferocity. 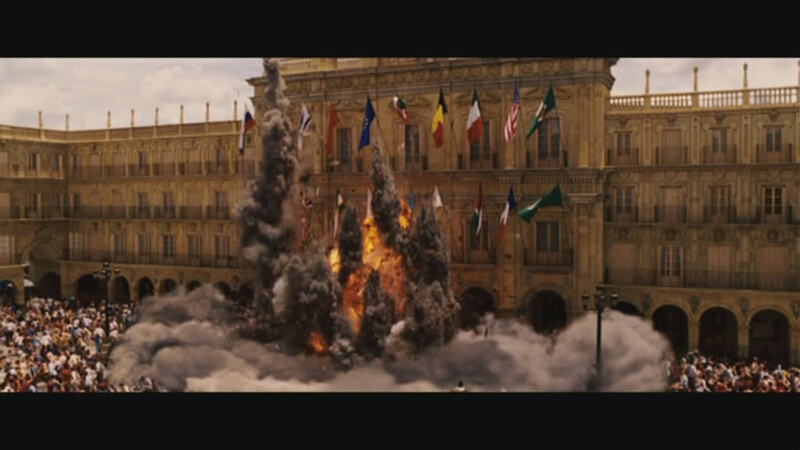 During a meeting of world leaders in Spain, standing on a platform about to give a speech, the President of the United States is assassinated. Or is he? The film attempts to show the different points of view of a disparate group of people; television types, innocent bystanders, the secret service, potential perpetrators, you know the sort. 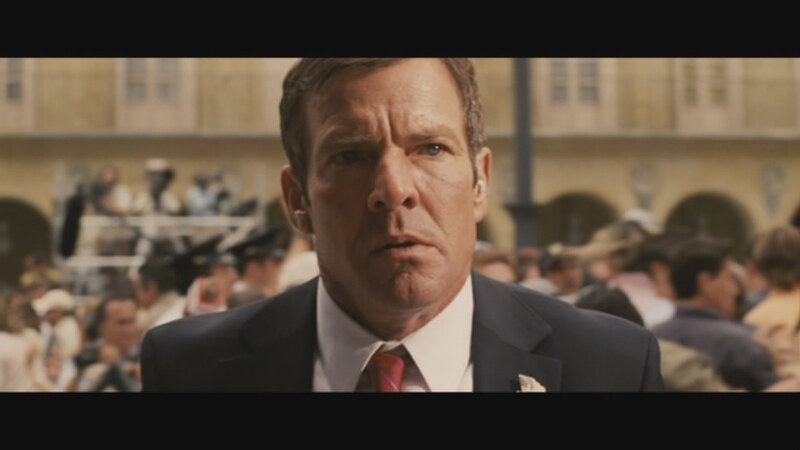 A rock solid Dennis Quaid plays a secret service agent back on the job for the first time after taking a bullet for the President in a previous assignment. He’s the leader of the cast, and a more dependable actor there isn’t, in this film. 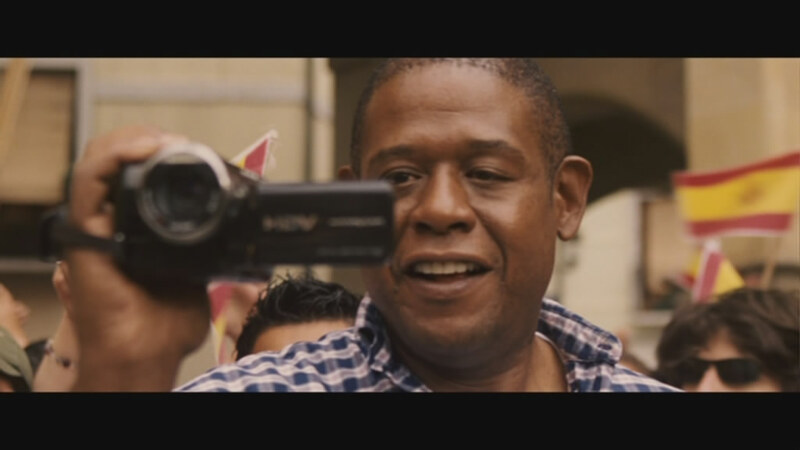 Forrest Whitaker, fresh from his Oscar glory in The Last King Of Scotland, plays the unwitting bystander who happens to be filming the whole thing with his handycam. 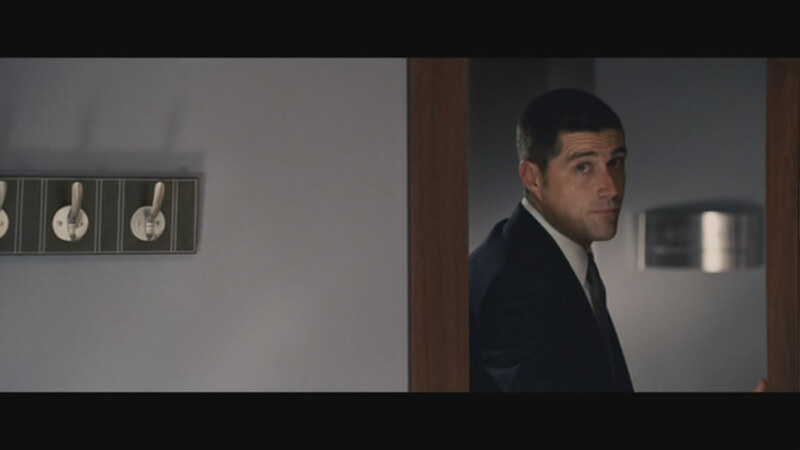 Matthew Fox, star of TV’s Lost, plays Quaid’s fellow secret service agent, who backs him up when things go wrong. Of course, with the confusion, death and carnage that accompany the assassination (in the form of two bombs exploding soon afterwards) this also covered on live TV. Sitting on the OB truck outside the incident are Sigourney Weaver and her coworkers, who are suitable shocked as events play out before them. Throw in a few seedy, “we’re bad guys” wandering into and out of the story, and you have a perfectly cooked thriller feast, where not everything is as it seems. Most people find this kind of film annoying, as often, the filmmakers will try to be too clever in their presentation of “same timeline” narrative in the way they only allow certain moments to be seen, before revealing some clever “twist” that would have been impossible to guess anyway. Here, director Pete Travis weaves a thrilling story that delivers some great little plot twists (that are genuinely shocking) and one of the years great car chases. 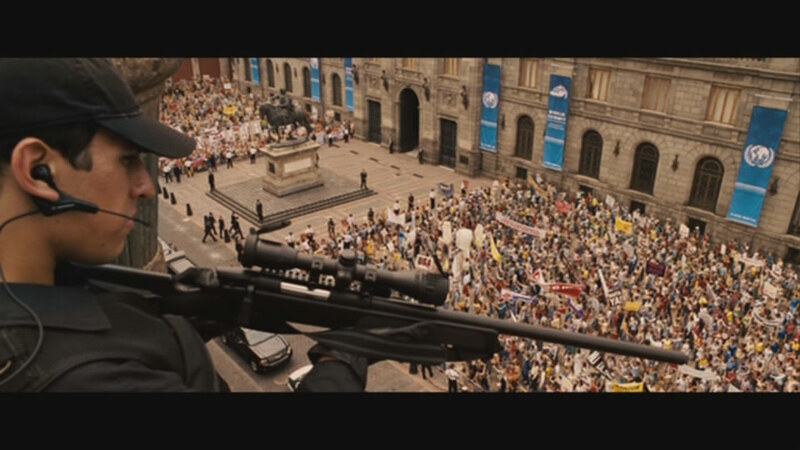 The script bristles with political subtext, and plays on the growing anti-American sentiment popularly shown overseas. William Hurt, as the President, is perhaps the most relaxed of all our participants, and his screen persona is perfect for the role he plays. What I really liked about Vantage Point was it’s reluctance to rely on viewer stupidity to tell it’s story: it’s a piece of film-making that’s both mainstream and intelligent, something we don’t normally get these days as a combination. The film is thick with plot, although very little character development beyond the cliched, as most of our characters are simply not given enough screen time (with the exception of Quaid, perhaps) to round out their roles. Motivations are obscure, hidden agenda’s are pretty blurry, but the whole thing adds up to on check of an exciting thrill ride that will have you going back to re-watch what you’ve seen, in order to see what you missed. Some critics have derided the film for trying to be cleverer than the script will allow: I would say that the film is exactly clever enough to keep the most discerning viewer engaged, which is all any film can really hope to do.